← The Dark Knight Rises Casting Brings More Questions – Are These The Answers? I’m not sure exactly when it started, or more importantly when exactly it became popularized. Sequels have been around for literally decades, but for me it is the eighties when it really became rife. If a film was financially successful, the studios made a sequel. Following the artistry of sixties and seventies filmmaking, films really began to become movies, and dumbed down overblown action movies became the big money makers. It was obvious, really. Why go to the time and trouble to try to develop and subsequently sell a new property when fans were itching to see the further adventures of Rambo, Rocky, Axel Foley, and the numerous other action heroes of that time. Sequels have been a constant since then, and have evolved to include prequels, reboots, imaginings and straight out remakes. It has been going on for years, but seems to be getting even worse in recent years. For me, it is since the writer’s strike that all attempts at originality seem to have been abandoned, with studios not seemingly willing to take any major risks, going the easy root for fear that projects involving brand new ideas will reach some kind of stumbling block along the way, or, worse still, fail to draw in the mass audience required to cover the costs of the increasingly huge budgets involved nowadays. We see a movie make big money now, and we sit back, and say ‘well, they’ll definitely make a sequel to this. We can predict with a pretty good degree of accuracy which films will beg a sequel based on their grosses, in fact usually just by going on their opening weekend. The studios are aware of this, and it does not bother them. In fact, they are starting to turn the tables on us. They are making that decision even earlier. In the last few weeks, news of several sequels in development have been reported. These are not movies that have made huge amounts of money however. They are movies that have not even been released yet. In the last month or so we have heard plans for follow-ups to Thor, Captain America, Fast and Furious 6, Real Steel, Bonds 23 and 24, and possible sequels to X-Men: First Class. This is in addition to the Green Lantern sequel that is at the writing stage. Remember, these are all films that have yet to be released, and in some cases not even finished post-production. They are all based on franchises, and the studios are confident that with the solid fan base these properties hold, profit is all but guaranteed. They are predicting what movies the audience at large are going to pay to see. Is it insulting that they take our presence for granted? They really wouldn’t be doing their jobs if they weren’t watching the bottom line, and laying out plans for future productions. It does concern me that they are assuming a wide audience for movies that have not even been reviewed yet, but the worst part is that they are right. Even if the movies these sequels are based on get bad reviews, they will all most likely be profitable. Brand recognition is more powerful than quality these days, as we all know, and this power is in danger of being overused. I find myself torn on this issue. Studios are well within their rights to predict which of their projects will make the most money, and really shouldn’t be spending hundreds of millions of dollars on movies if they don’t have faith that they will garner a great return. In fairness, the ‘plans’ for these sequels are ideas being thrown around, or writers being hired to draft out screenplays. In relative terms, it does not cost very much at all to hire a writer to put finger to keyboard to knock out a rough storyline. The drafts will most likely not be finished until after these movies are released, which will allow plenty of time during re-drafts to take audience reaction and feedback into account. If it all goes wrong, and a movie turns out to be a massive flop, what has been written up to that point can just be trashed, or kept in a filing cabinet until reboot time comes around, which we all know is sooner and sooner nowadays. I don’t have a major problem with sequels. It is a lazy choice in many cases, and taking audiences for granted can be a dangerous game. I would prefer more original films, based on brand new ideas, but I know that the profits generated by these sequels allow riskier projects to be put into motion. 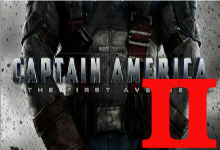 Some sequels can be better than their predecessors, and I think that is actually becoming more common than it once was. Studios are starting to realise that thought and effort needs to be put into these follow-up movies to keep a successful franchise alive, and this can only be an improvement on the ‘slap a sticker on a lunchbox’ attitude of the eighties and early nineties. I like comic-book movies, and if they are good, I am happy to see their follow-ups. It’s almost required, in fact, to have more than one installment of a comic based movie. The first film has to devote much of its running time and energy to the origin story, and in theory the second film should allow the freedom for more compelling action and engrossing story. This is not the case often enough at the moment, so here’s hoping that Thor, Captain America and X-Men: First Class break the historical trend and bring us great first movies, with even better sequels. A great movie is a great movie whatever number it might have in the title. As long as studios are aiming for quality, I’m willing to give them the benefit of the doubt. This entry was posted in Articles, News and tagged blockbusters, box office, budgets, captain america, development, fast and furious, green lantern, gross, james bond, news, prequels, profits, projects, reboots, remakes, screenplay, sequels, studios, thor, update, x-men. Bookmark the permalink.